When you hear the name Austin Carr, you think basketball. Maybe you remember him as the career scoring leader for the University of Notre Dame. 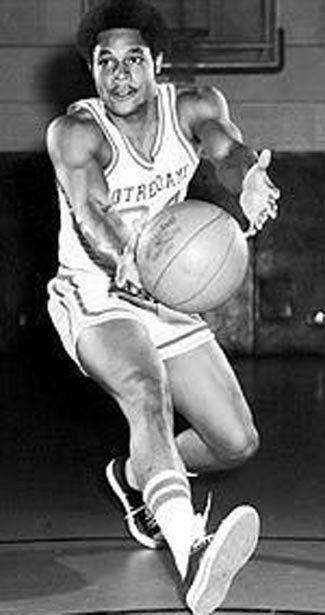 He was a scoring machine and basketball fans know the many records he holds such as being the only Fighting Irish player in history to score 50 or more points in a game (once an NCAA record 61! ), something he accomplished on nine separate occasions. Maybe you remember his NBA career which began as the league's #1 Draft Pick in 1971 or his stellar career as #34 for the Cavs (and two other teams). 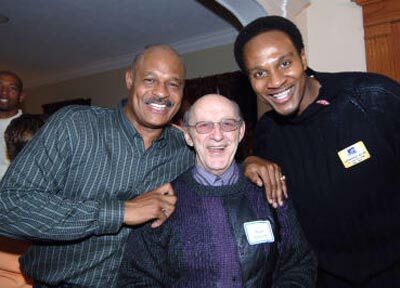 But to really understand Austin Carr, you must understand where he came from and how he grew up. He was born March 10, 1948 in Washington D.C. His father died five years ago; his mother is still alive and influential. He has two living brothers and two that died at very young ages. "I grew up in a time when children listened to their parents. Their opinion was what mattered. Today, the outside influences are more important. It's a part of our society that has gone haywire". He notes the strong impact family values played on his life as a child, his career in basketball and his role as a husband and father. Uncles, aunts and neighbors all played a role in watching out for each other, making sure everyone knew there were people there to help them, support them and love them. Of course on the rare occasions when young Austin did "act up" there was always someone there to relate the story to his parents. Most importantly to Austin, or AC as he is known, was the fact that it mattered. "I was raised to respect my parents, so I never wanted to let them down". AC stayed in Washington until he went to Notre Dame College. He had narrowed down his college choices to two, and because of his academic and athletic excellence he was able to make the choice, not have it made for him. The final decision came down to Notre Dame or the University of North Carolina. His parents also wanted him to go to Notre Dame, due at least in part to the Catholic influence of the school. "I lived to make my parents proud. That means something to me" says Austin. His father had worked in the Supply Department of the Pentagon all of his life. He was invaluable to the other workers and became the "Go To Guy" whenever there was a problem or a special need. His lack of a degree kept him from being promoted and he was not going to have AC suffer the same consequences. His mother, a nurse, also knew the importance of a good education, so there was never really a discussion of going to college, just a matter of which one. He had a lot of family in North Carolina, but in the end the "mystique" of Notre Dame overcame him. He almost left Notre Dame after one semester. He was having academic problems, which turned out to actually be time management problems. He soon discovered that the teachers and professors at Notre Dame were completely willing to help him if he was willing to help himself. By Senior year he had made the Dean's List and graduated with a degree in Economics. At the same time he was achieving academic success he was also accomplishing tremendous things for the Basketball team. 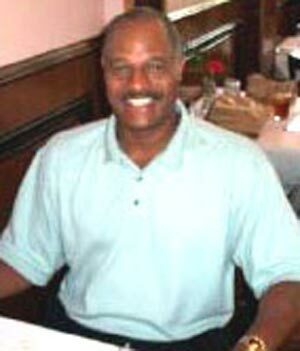 He was an All-American guard and was named the 1971 Player of the Year. He was a starter for three years averaging over 34 points per game; hit almost 60% of his field goal attempts and 82% of his shots from the free throw line. He always played his best games when the pressure was really on, especially around tournament time. And his family influence? Well it didn't quit when he got on the basketball court. His parents always came to his games, and his brothers attended whenever possible. They were in school, which of course, always had to come first! It made AC nervous in High School when he'd know the family was coming, so he always asked not to be told. By college, his plea became, "please come". 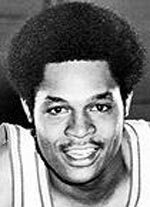 AC was the first pick in the NBA college draft in 1971. He was chosen by the Cleveland Cavaliers, an expansion team just barely a year old. "I was excited to be the No. 1 pick, and surprised. There had been talk that I would be No. 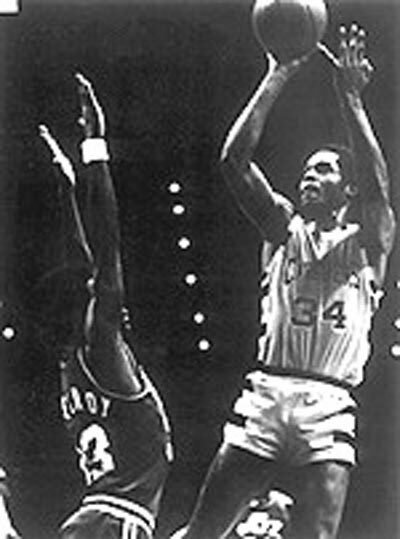 3, after Elmore Smith"
In his rookie season, he averaged 21 points per game. In the next two seasons he maintained a high average of over 20 points per game. He proudly wore the Wine and Gold uniform that so many Cavs fans still love today. Sadly, a knee injury in 1974 cut his playing time but not before he became part of a team forever known as "The Miracle of Richfield." He proved his dedication to the Cavs when he moved from starter to 6th man, a move a lot of the "superstars" of today would hesitate to make. "Basketball is a team sport. It was better for me to play 6th man, because that was better for the team." 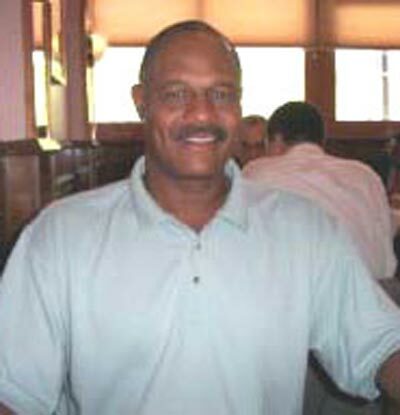 The 1975-76 season took the Cavs, with AC as their key 6th man , to the Central Division Title and all the way to game 6 of the Eastern Conference Title. Assisted by some heart-breaking injuries to key Cavaliers, the Boston Celtics eventually won, but AC had forever endeared himself to Cleveland and it's fans. Players and fans alike still remark on the deafening noise that the crowds made during the "Miracle" games. It has been said that AC possessed one of the sweetest jump shots in the game. It came as no surprise to anyone that Carr's jersey, No. 34, was retired on January 3, 1981. 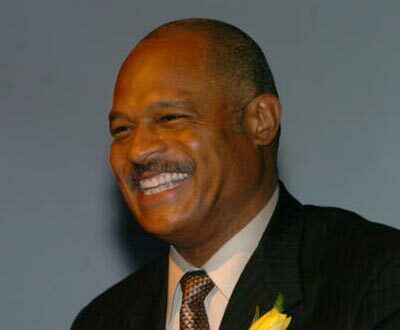 It was also no surprise that when a vote was taken, after 30 years of the Cleveland Cavaliers, Austin Carr was named to the all-time best Cleveland Cavaliers team. Joining him in this honor were: (in alphabetical order): guard Terrell Brandon, guard Austin Carr, center Jim Chones, center Brad Daugherty, guard World B. Free, forward Shawn Kemp, forward Larry Nance, guard Mark Price, forward Campy Russell, forward Bobby "Bingo" Smith, center Nate Thurmond, and forward John "Hot Rod" Williams. In fact he was named to the starting five along with Price, Daugherty, Kemp and Nance. Although AC earned many awards and broke many records, being named to the Cavaliers All-Time Best Team was extra special. "It told me that even after all these years that I've been out of the game people remembered me and valued my contribution. That made me very proud." The sports world has changed a lot and not all for the better. Austin feels that many of the so-called superstars have a "me" attitude rather than a "team" attitude and it shows up on the court. "I was named the No.1 player in the country and I would never have said I was different or didn't need to practice. God gave this talent, it's the players job to practice and use the talent". He feels that part of a leaders role is to show the rest of the team that he's willing to put it on the line and go out there and give it his all, and they are expected to do the same. Austin feels too many of today's youth are treated as if they are special or somehow separate from the norm. The child's development is hurt by this type of thinking. "When a child grows up thinking 'I don't have to work for anything' it's bound to affect his attitude as an adult. 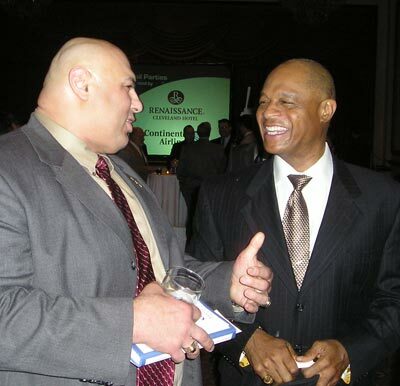 And there's no room for that type of attitude in a team sport". Along with his wife of 22 years, Sharon, he tries very hard to be a good role model for his two children Jason and Ashley. Jason (age 20) is a student at the University of Akron. Ashley (age 18) will be attending Cleveland State after she graduates from Hathaway Brown. Retirement has not slowed him down. He only retired from playing basketball. Now, he works all of the Cavs away games as commentator. He continues to work out five days a week, and he watches what he eats. He's also a 6-handicap golfer. He plays in 4-5 national charity golf outings each year and hosts one of his own each September, with the proceeds benefiting minority scholarship programs. "If you listen to the right people" Austin observes, "you can set a goal and make it happen. Get help from people that really care about you - your family. If you listen to the wrong people, or take the easy way out you're going to get burned. And then, you have nobody but yourself to blame"
After his third surgery AC's doctor would only guarantee that he'd be back on his feet - no promises beyond that. Austin had higher hopes. When he was on the road he would lift 40 lb. weights with his legs after practice each day and each night when he was home. He worked tremendously hard, and it paid off. He was able to regain his starting position status before he retired. It is this same 110% attitude that has made Austin the man he is today. He takes pride in his work, his family and himself. Modern sports stars come and go but a superstar on and off the court like AC will always be remembered.